You don’t need big equipment to offer huge variety. 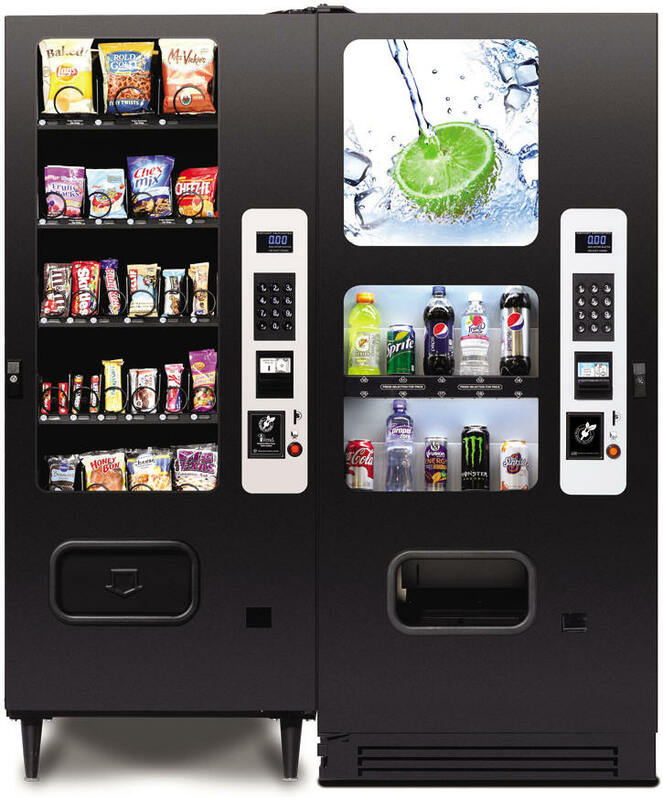 The Compact 23/10 Refreshment Center provides a selection of drinks and snacks that will keep your customers coming back for more. The MP23 snack merchandiser has 5 ﬂex trays with adjustable height and spacing, giving you the most freedom possible in customizing your product selection. The BC10 cold drink merchandiser will vend many different sizes of cans and bottles. For service and versatility, it’s easy to see why the Compact 23/10 is the number one choice. iVend® Guaranteed Delivery System Keeps customers satisfied and reduces service calls for mis-loaded product. Door-In-Cabinet Design Adds security and rigidity to an already solid package. Premium Currency Acceptors Includes standard electronic coin acceptor and $1 & $5 bill acceptor. Ship Weight *431 lbs. (195.5 kg) *Varies with options. *671 lbs. (304.4 kg) *Varies with options.